Rhys Bowen: I seem to spend a lot of time writing about wars. 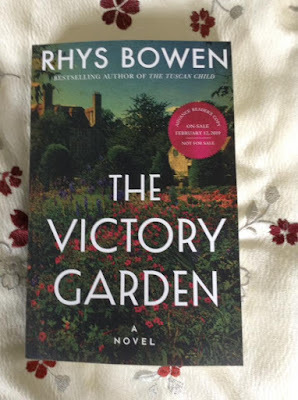 My last two stand-alone novels took place in WWII and now I have moved back in time to WWI for my new book, THE VICTORY GARDEN, that comes out next Tuesday, February 12. My heroine comes from a great loss to inherit a healing garden of herbs and by healing others comes to heal herself..
What a senseless war this was! Commanded by cavalry generals who sent men ‘over the top’ to face tanks and Twentieth Century weapons of destruction. Five thousand men killed to gain a yard, only to lose it back the next day. Never has there been wholesale slaughter like this. And the men who came home were broken in body and mind. So this started me thinking: who does the men’s jobs when they don’t come home. In a village who becomes the blacksmith? The pub owner? The carter? And of course women had to take over. For them it was incredibly empowering. In the land army they were given a uniform of bloomers and a jacket. They could discard those cumbersome skirts. They threw away their corsets (as happens in one of my favorite scenes in my books). They cut their hair. They worked hard but they gained new-found confidence in their abilities. Choosing a recipe from a time when England was starving was not going to be easy. Rationing meant that meat, butter and cheese were all luxuries to be used sparingly if and when they were available. 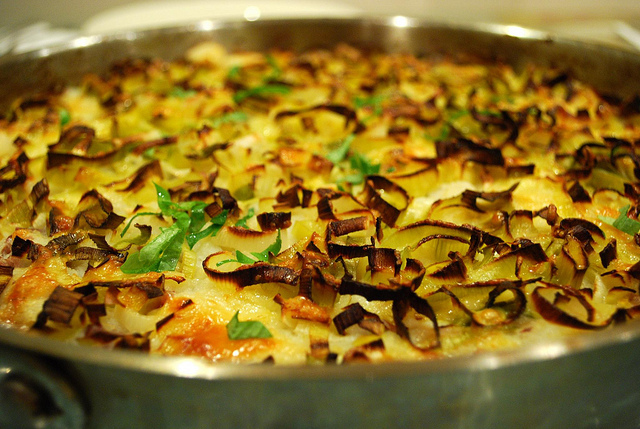 Many of the recipes from both World Wars involved a lot of root vegetables with a potato crust. Hardly inspiring. So I’m giving you a standard British comfort food that I’m sure they would have made any time they got their hands on some meat, especially to use up the last bits of a roast. It’s called Shepherd’s Pie when it’s made with lamb, and Cottage Pie when it’s made with beef. make a mixture of about 1 pint of stock, beef better than bouillon, large dollop of tomato ketchup, warm together then pour over meat. Bake at 425 until crust starts to look crisp and to turn brown. Serve with veg (peas are good) You can also add cooked peas to the meat mixture! This is still one of my favorite foods. I hope you enjoy it. And I hope you enjoy THE VICTORY GARDEN. Leave a comment to be entered in the drawing of THE VICTORY GARDEN! The recipe sounds delicious. The book sounds so interesting I’d love to own it and want to read it. Thank you for the chance. I love Rhys Bowen's series. Shepherds Pie would be a great winter meal. Thank you! The book looks very interesting. 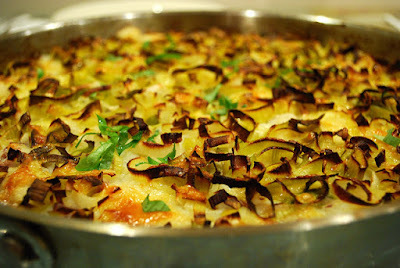 This is not my mother's Shepard Pie, must try! I think that Victory Gardens and the Women's Land Army were amazing! I watched a series on the Land Army. They went through some tough times, but were so hard working and very brave! I love Shepherd's and Cottage pies! Thank you for sharing your recipe. Also, thank you for giving away a copy of your book. Love yourbooks, Rhys. And this recipe looks delivious and oh so comforting! My grandfather was born in London and loved this dish! Of course, my Irish grandmother was very good at making it. Can’t wsit to read your newest! I like the idea of adding curry. I’ve never done that. suefoster109 at gmail dot com. I enjoy your books! We have tried several different Shepard's or Cottage Pie recipes and have loved them all. I can't wait to try yours. This sounds like a good comfort food. Thanks for sharing. The book sounds excellent can't wait go read it. Am fascinated by your book topic. It must have been such a fraught situation and yet it is so inspiring to read of people changing to suit necessity and finding their strength in doing so.